Founded in 1977 by Dean Weidner we offer our residents and associates stability in an ever changing economic climate. In addition, while we continue to acquire and build new communities, we rarely sell our properties providing consistency, and continuity for the long term. Weidner is all about being a Team! Every person is important to our overall success. Our associates can reach out to our other properties, colleagues, peers, and all levels of management at any time to seek out advice, support, or help in any way. At Weidner, we’re a family. At Weidner, we live by our Mission, Vision, and Values every day and are committed to ensuring that they are the foundation in everything we do as individuals, teams, and as a company as a whole. Our Mission, Vision, and Values were created and developed fully by our associates. 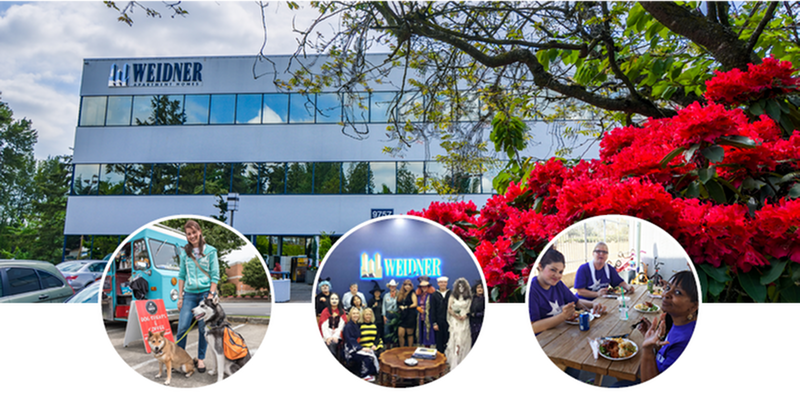 Get to know more about the principles that drive our daily business on the Weidner Vision, Mission and Values page. Currently ranked #15 among owners and #25 among managers on the NMHC top 50 list of apartment management companies, Weidner owns more than 52,500 units throughout the US and Canada. Weidner Apartment Homes is committed to providing quality apartment home living for all of its residents. If you make your home at one of our pet-friendly communities, we welcome your pet as a valued resident; they are like family members and it is our pleasure to have them. Learn more about the process for finding and renting an apartment with your furry family member on the renting with pets page here. Any step toward sustainable living can have a big impact. We are proud of the environmentally-friendly practices, products and services at our communities. Check out the Sustainable Living Page for a list of current initiatives.